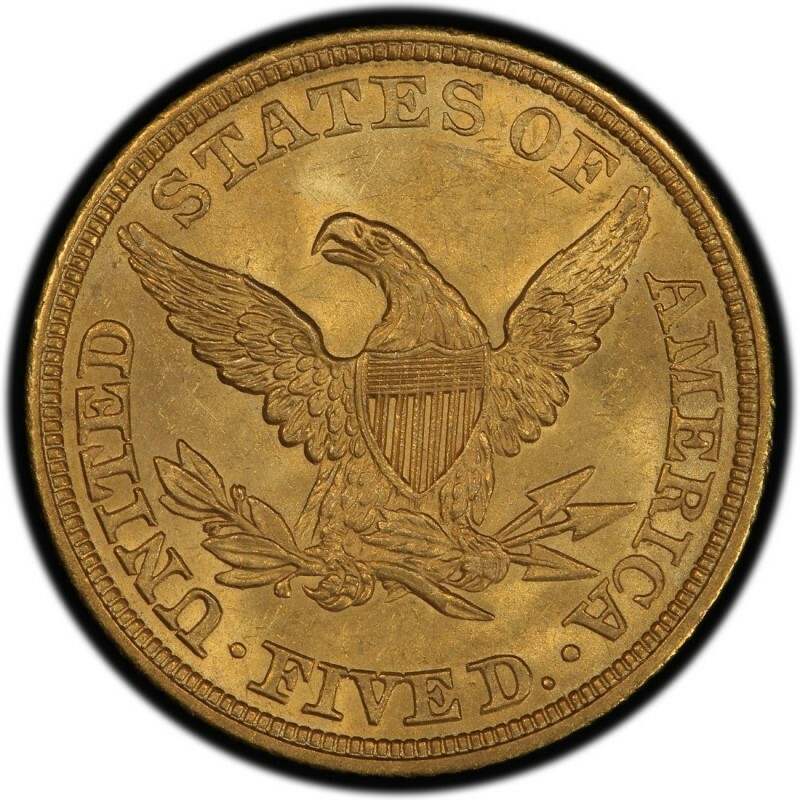 1843 Liberty Head $5 half eagle gold coins come in five varieties, counting the fact that the New Orleans (O) mint produced two types of $5 gold coins, with one featuring small letters and the other large letters. For the most part, all 1843 half eagles are scarce, though the Charlotte (C) and Dahlonega (D) branch mint issues are the scarcest. This is true for virtually all Liberty Head half eagles from the era, and should be remembered by those who want to buy these old gold half eagles. It’s best to always buy any old gold coins, especially rare pieces like C- and D-mint gold coinage, in slabs from reputable third-party coin grading firms. 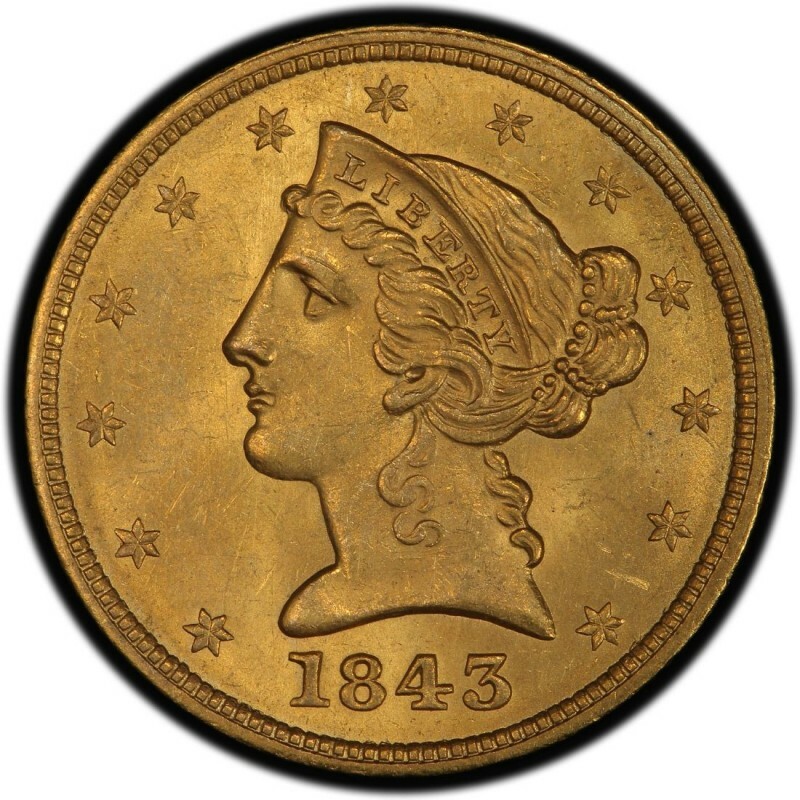 Even though Liberty Head gold half eagles have substantial intrinsic bullion content, the historical significance of these old U.S. gold coins makes them far more important to numismatists than bullion investors. For the record, 1843 Liberty Head half eagles, which were designed by Christian Gobrecht, weigh 8.359 grams and contain a net pure gold weight of 0.24187 ounces. 1843 $5 Half Eagle Liberty Gold ICG AU58 No Reserve! !